The worlds coolest gorilla has died (yes even cooler than Harambe). You see this Gorilla could speak with humans using real words. 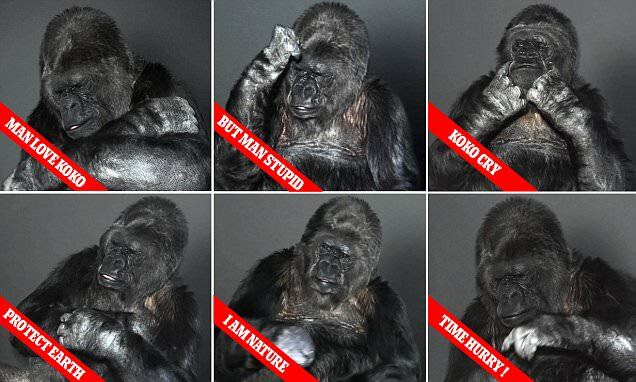 Koko the gorilla was one of the few primates who were taught ASL (American Sign Language), and surely the most famous. She knew over 1000 signs and was capable of complex conversation.